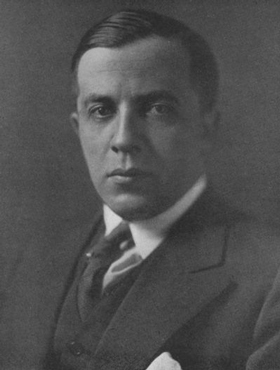 Alexander Nahum Sack (Moscow 1890 – New York 1955), a Russian lawyer who taught in Saint Petersburg then in Paris, is considered to be one of the founders of the doctrine of odious debt. The doctrine, based on a series of precedents in jurisprudence, has come in for a lot of debate. So, what is Alexandre Sack’s concept of odious debt? The excerpt from Sack’s book on the subject that is the most referred to can be confusing. “If a despotic power contracts debt, not for the needs and interest of the State, but to strengthen its despotic regime, to oppress the population that combats it, that debt is odious for the whole State. 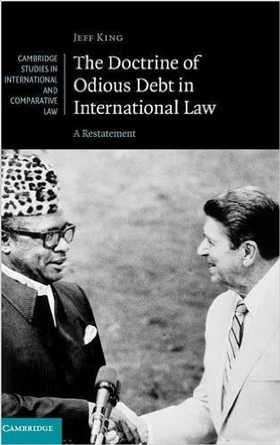 The debt need not be recognised by the Nation: it is a debt of the regime, a personal debt of the power that contracted it and consequently falls along with the power that contracted it.” (p. 157). 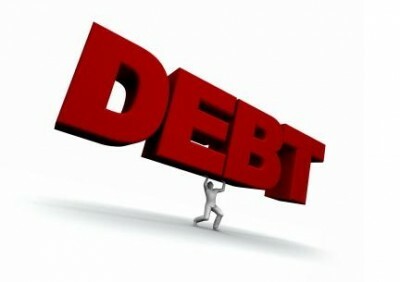 |1| “These ‘odious’ debts cannot be considered to be a liability of the State’s territory because one of the necessary conditions that determine the regularity of State debt is missing; a State’s debts must be incurred and the funds thus made available used for the needs and in the interests of the State (see above, § 6). ‘Odious’ debts incurred and used, with creditors’ foreknowledge, for purposes that are not in the interests of the Nation do not engage the Nation, should the Nation rid itself of the government that incurred them (…). The creditors have committed a hostile act towards the people; they cannot therefore hold the people responsible for the debts that a despotic power incurred against the people’s interest and are the personal debts of the despotic regime.” (p. 158). Many of the remarks on this excerpt conclude that Sack pretends that for a debt to be “odious” it has to be contracted by a despotic regime. This is not Sack’s position. In fact, as a lawyer he considered that several circumstances could give rise to debt of an odious character. The above quote mentions only one possible circumstance. b) that the creditors, at the moment of the issuance of the loan, were aware of its odious purpose. We can summarise as: a debt is odious if it has been incurred against the interests of the population and the creditors were aware of this at the time. This summary is at first sight convincing and does not mention, as an obligatory condition, the despotic nature of a regime. However, closer scrutiny shows that one of the conditions mentioned by the authors is not mentioned by Sack. |9| Namely: “it is incurred without the consent of the people.” The fact that Sack does not mention this condition is quite coherent with his position that the nature of the government is of no importance in this matter. If some readers still have doubts about Sack’s position concerning despotic regimes, here is another quote: “Even when a despotic power is overthrown by another despotic power that is no less despotic and no more reflective of the will of the people, the odious debts of the fallen power remain the personal debts of the regime and the new power is not liable for them” (p. 158). For Sack only the purpose of the funds and the creditors’ knowledge of that purpose are the important elements. Sack says immediately after this that debts of this kind were repudiated in the US in the 1830s, as we have seen. “Cf. the case of the repudiation of certain debts by several North American States. One of the main reasons justifying these repudiations was the squandering of the sums borrowed: they were usually borrowed to establish banks or build railways; but the banks failed and the railway lines were never built. These questionable operations were often the result of agreements between crooked members of the government and dishonest creditors.” (p. 159). “These considerations do not seem to be totally founded. Even if the spending was done in German interests it does not necessarily follow that it was odious for the colonies (…)” (p. 162). He adds: “We can question whether it is just, (…) that the colonial debt not be put to the charge of the respective colonies, seeing that much of the funds were used on productive spending in the colonies.” (p. 161). What really highlights Sack’s conservative, Eurocentric and colonialist attitude is that he makes no reaction to the Allies’ affirmation that they gain nothing from exercising their new protectorates over Germany’s ex-colonies. What’s more, the Allies consider that expenditures for the colonies were productive. Whereas, in fact, they were used to rule over the peoples and to draw maximum profits towards the colonial powers. Can we really talk of “Sack’s odious debt doctrine”? If we consider that a “doctrine” designates the totality of the opinions expressed by legal experts as the result of their reflection on a given rule or situation; if elaborating a doctrine means “A legal framework, defining it, placing it within the context of the law, defining its limits, its practical application, the social effects and at the same time making a systematic, analytical, critical and comparative examination”, |13| it is justified to consider that Sack has elaborated an odious debt doctrine. To elaborate his doctrine he referred to an ample quantity of international treaties pertaining to arbitrations on questions of debt repayments concluded between the end of the 18th century and the 1920s; he analysed the way disputes over debt had been treated and the legal, administrative and judicial measures taken; he collected and classified the opinions of numerous authors (in fact, only Europeans and Americans) who had studied the question. He presented his vision of the nature of debts, the obligations of the debtors and the rights of the creditors, the relations between successor States, the way debts and the effects of regime changes were shared, and defined the criteria for odious debts. The doctrine is open to criticism, has weaknesses, gives priority to creditors and does not consider human rights, but it does have a certain coherence. It must also be said that, although disparaged by influential detractors (the mainstream media, the World Bank and numerous governments), it inspires numerous movements who look to Sack’s work for solutions to debt problems. Sack’s two criteria for determining that a debt is odious and a nation may decide not to pay, are applicable and justified. Henceforth, we must now go beyond Sack’s doctrine using that which is applicable and rejecting that which is unacceptable and adding elements related to the social and democratic advances that have been made in international law since the Second World War. What must also be added straight to the odious debt doctrine is the liability of the creditors; they regularly violate the established treaties and other international instruments for the protection of rights. The IMF and the World Bank have continually and deliberately imposed policies on debtor counties that violate many fundamental human rights. The Troika that was established in 2010 to impose brutal austerity policies on Greece dictated laws that contravene several National and International conventions on rights. The creditors are more than just accomplices to illegal and sometimes frankly criminal acts committed by governments. They are in some cases the instigators of the acts. The experience that has been accumulated since Sack made his studies indicates that several of Sack’s positions may now be updated. A fundamental point that must now be rejected is the continuity of a State’s liabilities, even in the case of a change in the regime. |14| Of course Sack is in favour of recognising an exception – odious debt. But that is insufficient. Another point to reject is Sack’s support for the current international financial system. b) that the creditors, at the moment of the issuance of the loan, were aware of its odious purpose.”).Since Sack made this proposal, no international court of the sort has been created. Numerous proposals have been made, but none have been brought to fruition. Experience shows that another way must be chosen: a sovereign State that discovers that it has an odious debt can and should repudiate it unilaterally. The first steps towards this goal would be to suspend payments and to conduct an audit with the participation of the citizens. “Several authors have further sought to develop the works of Sack and to adapt this doctrine to the present context. For example, the Centre for International Sustainable Development Law (CISDL) of McGill University in Canada, has proposed this general definition: “Odious debts are those that have been incurred against the interests of the population of a State, without its consent and with full awareness of the creditors.” |16| Jeff King |17| based his analysis on these three criteria (absence of consent, absence of benefit, awareness of creditors), and cumulative calculation, to propose a method to categorise these odious debts.While King’s analysis is interesting in many respects, |18| we argue that it is deficient, since it does not allow for the inclusion of all debts that should be qualified as odious. In fact, according to King, the mere establishment of a government by free elections is enough to disqualify its debts from being categorised as odious. However, history shows, through Hitler in Germany, Marcos in the Philippines or Fujimori in Peru, that “democratically” elected governments can be violent dictatorships and commit crimes against humanity.It is thus necessary to analyse the democratic character of a debtor State beyond its appellation: any loan must be considered odious, if a regime, democratically elected or not, does not respect the fundamental principles of international law such as fundamental human rights, the sovereignty of States, or the absence of the use of force. The creditors, in the case of notorious dictators, cannot plead their innocence and demand to be repaid. In this case, the purpose of the loans is not fundamental for the categorisation of the debt. In fact, financially supporting a criminal regime, even for hospitals and schools, is tantamount to helping the regime’s consolidation and self-preservation. Firstly, some useful investments (roads, hospitals…) can later be used to odious ends, for example, to sustain war efforts. Secondly, the fungibility of funds makes it possible for a government that borrows to serve the population or the State – which, officially, is always the case – to generate other funds for less noble goals. The nature of regimes aside, the purpose of funds should suffice to qualify debts as odious, that is, whenever these funds are used against the populations’ major interests or when they directly enrich the regime’s cohorts. In this case, the debts become personal debts, and not those of the State which is represented by its people and its representatives. Let’s recall one of the conditions of debt regulation, according to Sack: “the debts of State have to be incurred and the funds that are derived must be used for the needs and in the interests of the State.” Thus, multilateral debts incurred within the framework of structural adjustments fall into the category of odious debts, since the destructive character of these debts has been clearly shown, namely by UN agencies |19|. In fact, considering the development of international law since the first theorisation of odious debt in 1927, odious debts can be defined as those incurred by governments which violate the major principles of international law such as those included in the Charter of the United Nations, the Universal Declaration of Human Rights, and the two complementing covenants on civil and political rights and economic, social and cultural rights of 1966, as well the peremptory norms of international law (jus cogens). This affirmation is confirmed by the 1969 Vienna Convention on the Laws of Treaties, whose article 53 allows for the cancellation of acts which conflict with jus cogens |20| and which also accounts for the following norms: prohibition of wars of aggression, prohibition of torture, prohibition to commit crimes against humanity and the right of peoples to self-determination. 1. “When the successor State is a newly independent State, no State debt of the predecessor State shall pass to the newly independent State, unless an agreement between them provides otherwise in view of the link between the State debt of the predecessor State connected with its activity in the territory to which the succession of States relates and the property, rights and interests which pass to the newly independent State”. 2. “The agreement referred to in paragraph 1 shall not infringe the principle of the permanent sovereignty of every people over its wealth and natural resources, nor shall its implementation endanger the fundamental economic equilibrium of the newly independent State”. Moreover it did not comply with a 1965 UN resolution demanding that it stop its support to Portugal as long as this country maintains its colonial policy. 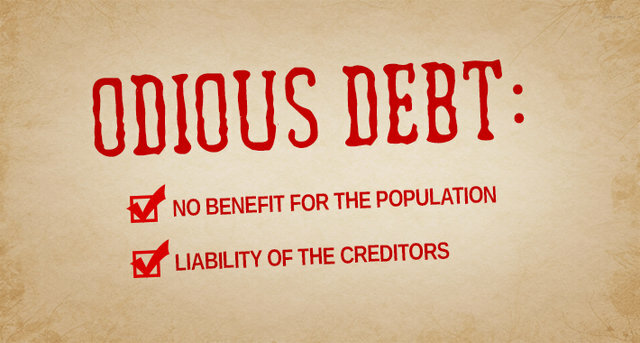 We must also define as odious all debts incurred in order to pay back odious debts. The New Economic Foundation |24| rightly considers that loans contracted in order to pay back odious loans are similar to a laundering operation. Auditing debts will determine which loans are legitimate. The list of debt abolitions or repudiations that evoke, in one way or another, the argument of their illegal, illegitimate or odious character is long. Without claiming to be exhaustive we may nevertheless mention |25|: the three waves of debt repudiations by the United States in the 1830s, 1860s and 1870s; the Mexican debt repudiations in 1861,1867,1883 and in the 1910s; the repudiation by Peru of the debt reclaimed by the Parisian bankers ’Dreyfus’; the 1898 repudiation by Cuba of the debt reclaimed by Spain; the repudiation by the British of the debt reclaimed on the Boers after the conquest of the Boer Republics in 1899-1900; the repudiation by the Bolsheviks in 1918 of the debt left by the Tsars; the repudiation of Germany’s debts on Poland and its African colonies in 1919; the abolition of the debt of the part of Poland that was colonised by the Tsarist Empire; the abolition, by the Bolsheviks in 1920, of the debt of the three Baltic States and of Persia; the repudiation by Costa Rica in 1922-23 of the debt reclaimed by The Royal Bank of Canada; the large debt repudiations made by Brazil and Mexico in 1942-43; the Chinese debt repudiations in 1949-52; the repudiation by Indonesia of the debt reclaimed by the Netherlands in 1956; the repudiations by Cuba in 1959-60; the repudiation of the colonial debt by Algeria in 1962; the three Baltic Republics’ repudiation of the debts reclaimed, this time by the other former members of the USSR, in 1991; the abolition of Namibia’s debt, by Nelson Mandela’s South African government in 1994; the abolition of Timor-Leste’s colonial debt in 1999-2000; the abolition of 80% of Iraq’s debt in 2004; Paraguay’s repudiation of debts reclaimed by Swiss banks in 2005 |26|; Norway relaxing its claims on five countries (Ecuador, Peru, Sierra Leone, Egypt and Jamaica) calling for repayment of debts concerning the production and delivery of fishing boats in 2006; |27| the abolition, in 2009, of the part of the Ecuadorian debt that had been identified as non-legitimate by the 2007-2008 debt audit Commission. Agricultural Credit Bank, 1883-1910, economic, statistical et financial research, Moscow, 1911, (in Russian). Notions on Financial Law and the Science of Finance, Yaroslavl, 1913, 42 p. (in Russian). The Role of Legislative Bodies in the Control of Russian and Foreign State Banks, Yaroslavl, 1913, 36 p. (in Russian). The Germans and German Capital in Russian Industry, St Petersburg, 1913, 67 p. (in Russian). The Central Lending Banks and Banking Associations, St Petersburg, 1914, 171 p. (in Russian). Financing Agricultural Reform, Petrograd, 1917, 57 p. (in Russian). Russian and Foreign Railway Bond Issue Rights Petrograd, 1917, 47 p. (in Russian). The Circulation of Money in Russia, Petrograd, 1918, 123 p. (in Russian). The Bankrupt State, Petrograd, 1918, 128 p. (in Russian). The Issue of Public Debt in the Case of State Dislocation, Berlin, 1923 (The works of Russian researchers abroad, t. III), 158 p. (in Russian). Fixing the Value of Money, Riga, 1925, 50 p.
Acknowledgements: The author thanks: Ilias Bantekas, Nathan Legrand, Benjamin Lemoine, Damien Millet, Brigitte Ponet, Claude Quémar and Patrick Saurin for their help and suggestions. Translated by Snake Arbusto, Vicki Briault Manus and Mike Krolikowski. |5| Another quote from Sack clearly confirms that he was opposed to the despotic nature of a regime being a condition sine qua non to identify an odious debt: “Applying other conditions than those we have established (p. 6-7) would, through arbitrary, differing and contradictory judgements, bring about the paralysis of the whole international public credit system and so (if such judgements were to have real weight on questions of recognising or of not recognising debts as State debts) would deprive the World of the advantages of public credits.” (p. 11). |6| What does Sack mean by “a non-regular government”? Answer: A government that does not exercise control over the whole territory, such as a rebel coalition that attempts to overthrow the existing regular government. The emblematic example are the Southern US States (the Confederate States) that rebelled against the United States, which was a regular government. It therefore follows that the debts incurred by the Southern States were personal debts of the Southern insurgents, not debts that the United States should assume. If the Confederates had won the 1861-1865 Civil War they would have become the new regular government in place of the United States. |9| Of course, it is perfectly legitimate that Michael Kremer and Seema Jayachandran add any new conditions that they may consider necessary. We regularly see consent obtained by the manipulation of public opinion or by the fanaticism of a majority of the population. |12| Source: Treaty Series, no. 4, 1919, p. 26. quoted by Sack, p. 162. |15| This CADTM statement has been translated by Judith Abdel Gadir, Elisabeth Anne, Christine Pagnoulle and Diren Valayden. |18| Namely, King proposes the undertaking of audits to determine the absence or not of benefits. |19| See Eric Toussaint, Your Money or Your Life. The Tyranny of Global Finance, Haymarket in Chicago (2005), VAK in Mumbai (2006). |21| Mohammed Bedjaoui, “Ninth report on succession on States on matters other than treaties” A/CN.4/301et Add.l, p. 73. |22| See Eric Toussaint, The World Bank: A Critical Primer. London: Pluto Press 2007. |23| See Eric Toussaint, op. cit. |25| Some of these examples are listed by Jeff King in The Doctrine of Odious Debt in International Law. A Restatement, Cambridge University Press, 2016. Eric Toussaint is a historian and political scientist who completed his Ph.D. at the universities of Paris VIII and Liège, is the spokesperson of the CADTM International, and sits on the Scientific Council of ATTAC France. He is the author of Bankocracy(2015); The Life and Crimes of an Exemplary Man (2014); Glance in the Rear View Mirror. Neoliberal Ideology From its Origins to the Present, Haymarket books, Chicago, 2012 (see here), etc. See his bibliography: https://en.wikipedia.org/wiki/%C3%89ric_Toussaint He co-authored World debt figures 2015 with Pierre Gottiniaux, Daniel Munevar and Antonio Sanabria (2015); and with Damien Millet Debt, the IMF, and the World Bank: Sixty Questions, Sixty Answers, Monthly Review Books, New York, 2010. Since the 4th April 2015 he is the scientific coordinator of the Greek Truth Commission on Public Debt.